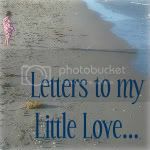 Just as promised...4 weeks ago, I'm going to recap your Butterfly Birthday party in a series of posts on Wednesdays. We'll continue with the invitations. These were my favorite birthday invitations yet, & I think that's because you had a hand in designing them. 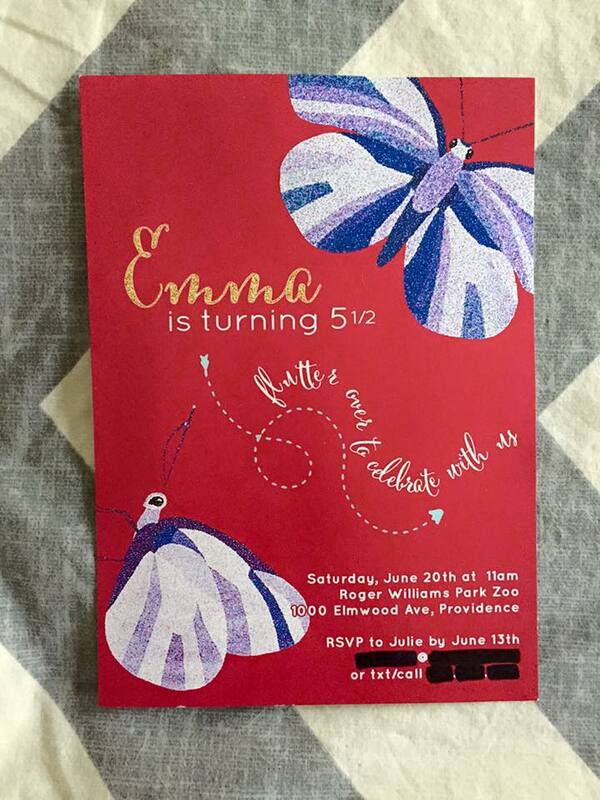 I went to Etsy, my go-to site for birthday party invites. I typed "Butterfly Birthday Party Invitations" into the search bar. There was a huge selection to choose from. I narrowed it down to five or so of my favorites, & then I asked you which ones you liked. At first you were all about color rather than design (you're always all about color). Once I explained to you that we could probably change the colors around, the invites from Lucky Plum Studio were your very favorites (& I think they had been mine too). They were almost perfect for you from the start. The invites were mostly pink, & the writing of your name would be in a sparkly gold (two of your favorite colors). All we had to do was ask them if they could give us purple butterflies. Yenny was so wonderful to work with. We had beautiful butterflies in a mosaic of purple colors in no time. You were thrilled with the final result & glad that you had been a part of the process. It was the perfect way to set the theme of the party. If only everything else had gone as beautifuly & easily!